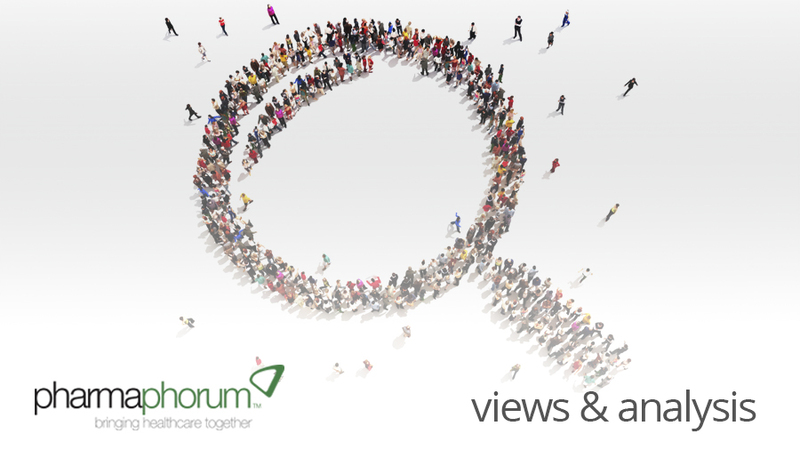 Tom McGraw and George Sillup examine the current and historical issues around clinical trials, particularly in relation to testing on children, outlining US guidelines and pointers for success. There has been a history of ethical problems in human research owing to abuse of power and bad judgement that have resulted in harm to the research subjects1. Hence, a number of codes, regulations and guidelines governing clinical research have been developed in order to prevent abuse of subjects’ rights while allowing ethical research to benefit humanity1. • Offering unduly influential incentives inducing them to be exposed to harm, etc. • Depending on their socioeconomic status they may not have access to healthcare. In the past, drugs and devices were used in children without marketing authorisation (off-label). Healthcare providers (HCPs) had limited medical evidence to guide dosing, or to evaluate safety and efficacy. Drugs were not studied in children for myriad reasons2 including: concerns about harming children, ethical questions, liability, research complexity etc. The pharmaceutical industry conducted more trials in adults than children2. It is possible that there was not a sufficient commercial incentive to invest in long-term, expensive development programmes for a small market2. Furthermore, there was a medical and regulatory rationale that dosing could be determined by body weight, and efficacy and safety could be assumed based on adult data2. It is now understood that differences in physical size (body mass) and metabolism result in different safety profiles and effects and/or dosing in children. The American Academy of Paediatrics (AAP) Committee on Drugs stated that: it is unethical to adhere to a system which forces physicians to use therapeutic agents in an uncontrolled experimental situation, and it is ethical and imperative that new drugs be studied in children. • The 2007 FDA Amendments Act (FDAAA) requires all studies be registered and the results reported included in the drug label. History indicates that it was necessary to escalate from voluntary to legally-required programmes. • Respect for enrolled subjects, including right to withdraw, personal data confidentiality, provision of new information and study results, and monitoring of subject welfare. Autonomy is defined as the ability of individuals to make self-directed reasoned and deliberative choices. The protection of children’s right to autonomy presents significant and complex issues. Children provide their consent or assent to participate in research only after the parent/guardian has given consent4. Informed consent is approval of the legal representative of the child after appropriate information is provided4. Informed assent is a child’s agreement to participate in research when not legally authorised or unable to comprehend competently4. A child’s competence to provide consent or assent depends on cognitive ability, rationality, age and experience of the illness4. The issue of parental consent for all research involving children under the age of 18 years might be a violation of a child’s right to autonomy. Competent children should be given respect, having the right to consent to, or refuse, research participation5. An important ethical question has been raised by experts that requires formal resolution to ensure society has the right to ask children to participate in research. Pharma companies have a financial obligation to shareholders to be profitable. Requiring them to invest in paediatric drug development programmes if they will not provide a reasonable return on stockholders’ investment presents a problem. The current PREA drug development programme requirement must be complied with in order to submit a New Drug Application for an adult drug. Therefore, a company must perform a financial analysis that includes the research investment for the adult indication and the paediatric indication. It is not just a question of asking whether the rights of children outweigh the rights of industry and investors, since many drugs may not be developed based on the outcome of the combined programme’s financial analysis. It may not be reasonable to think companies will ignore their responsibilities to engage in profitable drug development programmes. It can be concluded that it is ethical to conduct paediatric research by following current codes, regulations and guidance. It is also important to resolve questions about the pharma industry’s obligations to be profitable. It could be that more commercial incentives should be provided to facilitate investment in research and to justify the current requirements. 1 European Textbook on Ethics in Research, 2010. 3 Emanuel E J, Wendler D, Grady C. What Makes Clinical Research Ethical? JAMA. 2000; 283:2701-2711. doi:10.1001/jama.283.20.2701. 4 Levy, M D L, Larcher, V, Kurz, R. Informed consent/assent in children. Statement of the Ethics Working Group of the Confederation of European Specialists in Paediatrics (CESP). European Journal of Paediatrics. 2003; 162: 629-633. 5 Cheah, P Y and Parker, M. Consent and assent in paediatric research in low-income settings. BMC Medical Ethics. 2014; 15:22. American Academy of Paediatrics. Committee on Drugs. Guidelines for the ethical conduct of studies to evaluate drugs in Paediatric populations. Paediatrics. 1977;60(1):91-101. Baines, P. Assent for children’s participation in research is incoherent and wrong. Archives of Disease in Childhood. 2011; 96: 960-962. Frattarelli D. Testimony on behalf of the American Academy of Paediatrics Before the Energy and Commerce Committee Health Subcommittee on February 1, 2012. 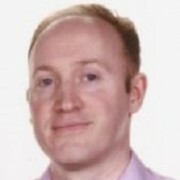 Thomas P McGraw, PhD is a Medical Strategy Lead at RB, plc in Slough, UK. He is currently studying the executive MBA programme in Pharmaceutical Marketing at St Joseph’s University in Philadelphia, PA, USA where he expects to graduate in 2016. Previously Tom was a Director, Global Clinical Research and Medical Affairs at Merck Sharp & Dohme. He is a Diplomate of the American Board of Medical Laboratory Immunology and a graduate of the Medical School at Wayne State University, Detroit, MI, USA. He trained at the Memorial Hospital at the University of North Carolina, Chapel Hill, NC, USA, and held a faculty appointment in Pathology at the University of California before joining the pharmaceutical industry. Dr Sillup is the Chairman of Pharmaceutical & Healthcare Marketing and Fellow in the Pedro Arrupe Center for Business Ethics and the Institute of Catholic Bioethics at St Joseph’s University. For 28 years he worked in the diagnostic, pharmaceutical and medical device industry where he held positions from salesman to COO before moving into academia full time in 2004. His teaching draws on his industry experience and research that generates publications about ethically-based strategy and healthcare reform. He co-authored ‘Using the Analytical Hierarchical Process to Determine the Optimal Scale to Assess People with Dementia Pre and Post Timeslips Sessions’, which was published in Applications of Management Science in February 2015. A collegiate athlete, Dr Sillup earned his undergraduate degree from the US Military Academy and Wilkes University and his graduate degrees from Drexel University and Fielding Institute.